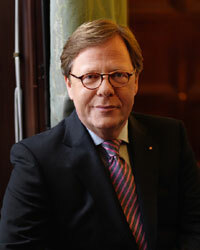 Austria´s Minister of Economics Reinhold Mitterlehner proposed to reduce the bank levy. The coalition partner, the social democrats, is surprisingly open to talks. 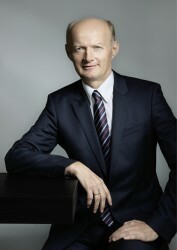 Andreas Treichl, CEO of the third-biggest lender in Central, Eastern and Southeastern Europe expressed subtle doubt as to whether Michael Spindelegger is the right person for the job. According to the rating agency, the best alternative is a joint solution between the Austrian state and privately held banks. In return, the bank levy should be reduced, Fitch says. 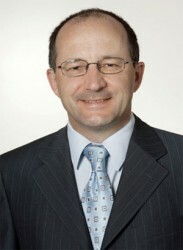 Christian Keuschnigg, director of the Austrian economic research institute IHS stresses that the bank resolution funds would replace the bank levy. Austria´s Minister of Economics underlined that the Austrian government is looking for an effective and cost-saving solution for the nationalized Lender Hypo Group Alpe Adria. 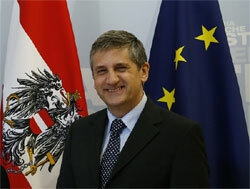 The Austrian government will raise the bank levy significantly. 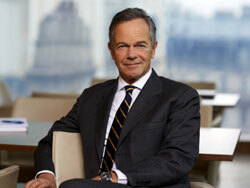 Smaller banks have to perform disproportionately high taxes, Oberbank´s CEO Franz Gasselsberger says. In 2014, the bank levy is expected to increase substantially. Austrian banks regard the levy as massive competitive disadvantage. The third-largest lender in CESEE underlined that the Hungarian subsidiary will not be sold. 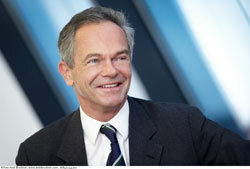 The Austrian bank is confident to reach the turnaround soon. 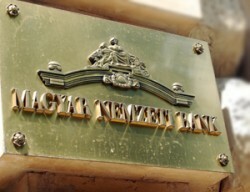 The partly nationalized Hungarian lender Szechenyi Bank is interested in the Hungarian subsidiaries of the Austrian banks Erste Group and Raiffeisen Bank International. The governing Austrian social democrats (SPÖ) are against providing further funds to the partly nationalized banking group. Austrian Finance Minister Michael Spindelegger underlines that Austria has to put more effort into fiscal consolidation measures. 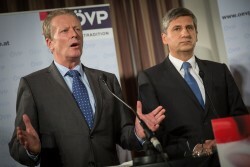 At the end of this week, the Austrian social democrats and the conservatives agreed on continuing their coalition. Although the fiscal strategy is not fully known yet, a bank tax increase is likely. The austerity measures at Bank Austria take form. 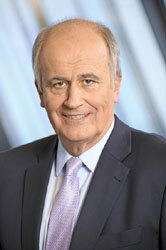 CEO Willibald Cernko refers to the bank taxes. As reported by Vindobona, Vienna-listed RBI is examining offers for the Hungarian subsidiary. For RBI, Hungary is the biggest loss-maker. 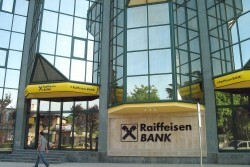 The Austrian banking group Raiffeisen Bank International wants to focus on other markets. 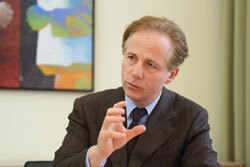 Hungary and Slovenia are shrinking markets, CEO Karl Sevelda says. Bad Bank for Hypo Group? According to market rumors, Austria´s government wants domestic banks to participate in a bad bank for the nationalized Hypo Group. Finance Minister Maria Fekter denies such reports. Walter Rothensteiner, CEO of Austrian RZB (Raiffeisen Zentralbank) says that bank taxes have a detrimental impact on the economic development. 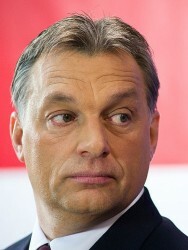 According to Hungary´s Prime Minister Viktor Orban, the IMF tries to put pressure on Hungary. The Polish government considers introducing bank taxes in order to stabilize the banking sector. For Austrian RZB (Raiffeisen Zentralbank), bank taxes in Austria, Hungary and Slovakia come at € 168m. RZB will not leave Hungary, CEO Rothensteiner says. The U.S. rating agency lowers Hungary´s sovereign debt rating from “BB+” to “BB”. 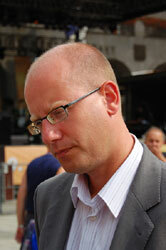 The chairman of the Hungarian Banking Association Mihaly Patai steps down. He explains that the Hungarian state overburdens the banking sector. The Hungarian government plans to take over debts from small municipalities. Banks fear that the Hungarian state demands a debt relief. 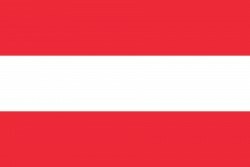 The Austrian bank gradually withdraws from Hungary. The stake in MKB Bank becomes smaller. 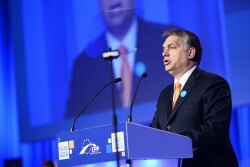 Prime Minister Orban refers to the pressure coming from Brussels. Hungary must reduce the budget deficit below 3.0% of GDP. Herbert Stepic, CEO of Austrian RBI (Raiffeisen Bank International) is highly dissatisfied with Hungary´s decision not to reduce bank taxes. However, RBI will stay, he says. Because of the pressing need to reduce the budget deficit, Hungary´s government decided not to lower the bank tax. Moreover, the financial transaction tax will be doubled. 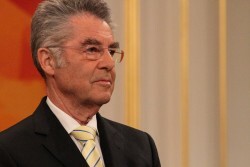 The President of IV (Federation of Austrian Industries) Georg Kapsch argues that more justice cannot be achieved with new taxes. 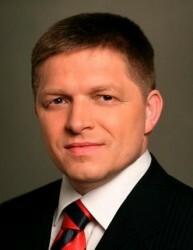 Because of the austerity pressure, Slovakia gives up its flat tax. 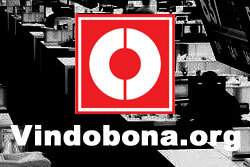 The corporation income tax rate increases to 23% from 19%. 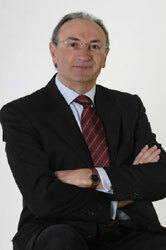 According to the governor of Hungary´s Central Bank, the bank taxes are causing the lending freeze. The relation between Hungary´s Prime Minister and IMF is chronically tensioned. Another delay of the conclusions of the negotiations is likely. The bank tax proceeds only reach 40% of the planned volume. In Austria, only 82 of 787 banks have to pay bank taxes. Above all, the Raiffeisen sector and the Volksbanken sector are excluded. The Slovakian government raised the bank tax up to 0.4% on deposits. Once the tax intake totals € 1.0bn, the tax should be abolished. 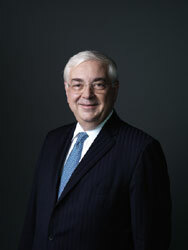 Raiffeisen Bank International´s CEO Herbert Stepic is against a capital increase. The market conditions would be unfavorable. With a € 1.0bn programme, the Hungarian government aims to create more jobs and stimulate consumption. The Hungarian government plans a growth stimulus program, which should be funded with the extension of the current financial transaction tax. At the visit of Hungary´s Viktor Orban, the President of the Austrian Chamber of Commerce (WKO) stresses the long-term commitment of Austrian enterprises in Hungary and claims legal security in return. The Hungarian Prime Minister Viktor Orban met Austrian policymakers in Vienna. The Hungarian bank tax should be replaced by a financial transaction tax. The extraordinary bank tax in Hungary will be halved in 2013 and deleted in 2014, the government said. Austrian banks are relieved. UniCredit´s subsidiary may leave Baltic countries as well as Kazakhstan. 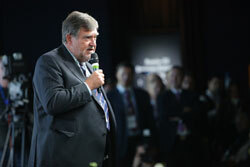 CEO Cernko is optimistic to achieve more than € 1.0bn in profits this year. Bank Austria´s CEO Willibald Cernko wants the bank tax to be solely used for a stability fund in order to support financially stricken banks. 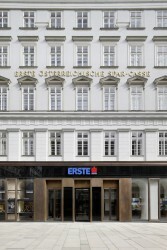 The U.S. owned bank was the only one in Austria which could increase its profits last year. The restructuring is successfully completed. The Chief Executive Officer of UniCredit, the holding company of Bank Austria emphasizes not to sell the Austrian subsidiary. The bank tax is “unfair”.